Its been awesome experimenting with our #noaddedsugar recipes this month. I have to tell you, I am getting better and more creative each time we do our challenges. I normally crumble, so it's been a great #danisteps experience where I don't necessarily have to make that first initial step again. It's purely a continuation on your stairs to success. Which reminds me I will get my video from the Mind Body Spirit festival and outline my presentation so you all know what I am talking about with this danisteps hashtag. Here's an awesome quick dessert that we whipped up using only fresh natural ingredients. That's it! Simply amazing, delicious and ready in 5 minutes. The real trick to this amazing dessert is the frozen bananas, the walnuts just make it super creamy and the 3:1 ratio ice is where the magic happens. 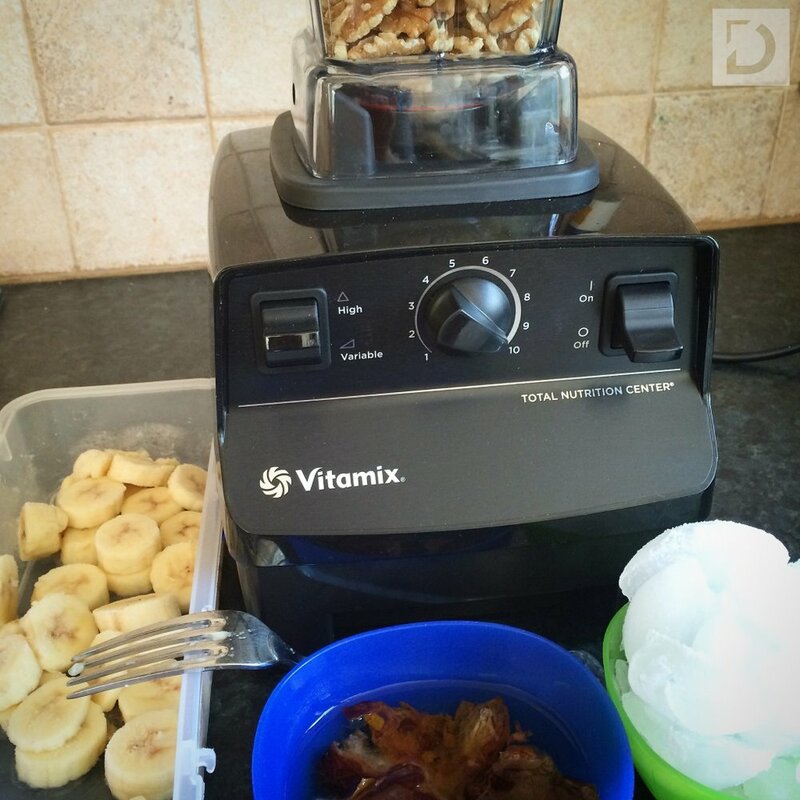 We can't forget the fabulous Vitamix which my amazing friends at Raw Blend so kindly gifted, so I can share with you the amazing creations that will be coming your way! Oh yeah! Did I mention an exclusive discount to all my #teamdani subscribers??? So please make sure you have subscribed to our weekly newsletter below and watch this space! Are you in the market of buying a Vitamix? If so, what discount would you like see?